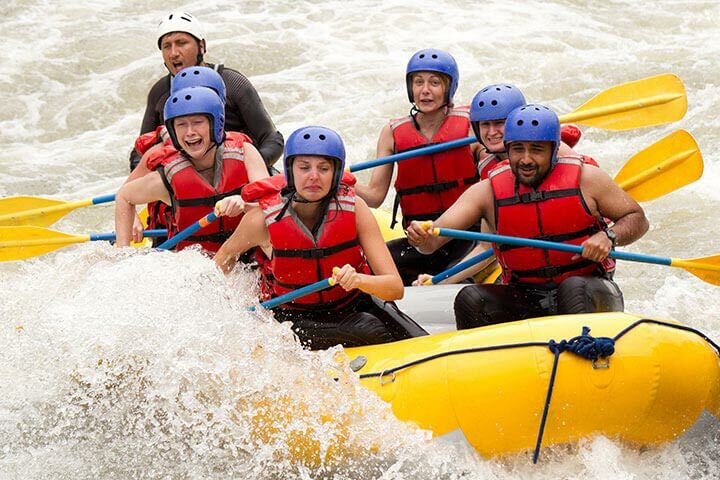 Climb aboard an inflatable rubber raft and head downstream through powerful, fast-flowing rapids with this White Water Rafting experience for two. You’ll hear the thunderous noise of churning water as you nervously approach the rapids, knowing that some serious teamwork is required to keep your raft upright and everyone on board as you paddle through the foamy white waters to safety. 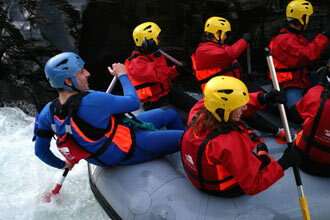 Upon arrival at your chosen location, you’ll go through a thorough safety briefing and be kitted out in the required safety wear of helmet and life-vest before joining your new shipmates and qualified instructor for an exhilarating white knuckle trip out on the river. Armed with a paddle in hand, you’ll negotiate the waves and dips as you tackle the rapids head-on (and sometimes sideways!). But it doesn’t matter if you fall overboard or not, you are guaranteed to get wet. Programmes and timings may vary according to location. Available selected weekend dates, depending on the venue, March to November (for manmade) and October to March (for the natural rapids). The total experience lasts approximately 2 hours at manmade venues and 2 to 3½ hours at the natural. There'll be a maximum of six others on the raft with you. Please advise if you have a medical condition that may affect this activity. This activity is not always suitable for contact lenses and glasses wearers. Participants need to be reasonably fit. The maximum weight is 95kg (15 stone). No pregnant clients. You must be able to swim at least 50 metres or be confident of being in water. Swapped this from a paint balling experience and so glad we did. Easy to book, professionally run and a great experience. Spent a lot of time falling overboard, but just added to the fun. Thoroughly recommend. I was brought the voucher for my 30th birthday and i realy enjoyed it. Sunday 25th September 3 friends and myself went White Water Rafting, it was one of the best experiences I have ever had, it was Adrenalin packed crazy fun and we can't wait to go again. What was the name of the venue where your experience took place? 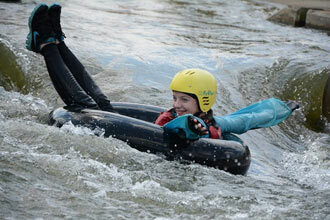 Tees Barrage White Water Rafting. I was given this as a birthday present, waited until the summer months to do the White Water Rafting, what an excellent day out. 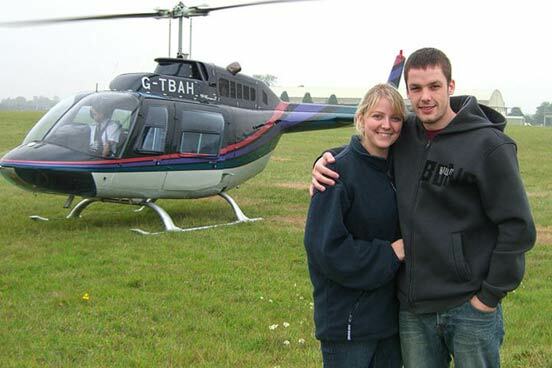 Great training and safety was paramount, would definitely do this again. We received the voucher from our friends and chose to do the white water rafting experience with Free Spirit, Grandtully. Luckily, it was a good day to be out. The ride was about 2 hrs long as the river was quite calm that day. We had multiple opportunities to get off the raft and swim, between rapids. Our guide was extremely friendly, and encouraged us to have fun. All in all, a great day out. Will definitely revisit. Bought an activity day for 2 for my husband for Christmas. He chose whitewater rafting. So glad he did. Fantastic experience and so much fun! Sorry, no photos. Too busy enjoying ourselves.